The building covers an area of 33,333 square meters and the total construction area is 32,000 square meters. 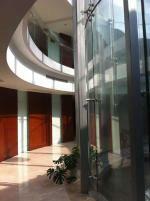 It is designed by an international architectural design company. 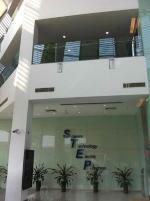 It is divided into five functional parts that are Scientific and Research Center, No. 1 Workshop, No. 2 Workshop, Experts Building, and Security Room. 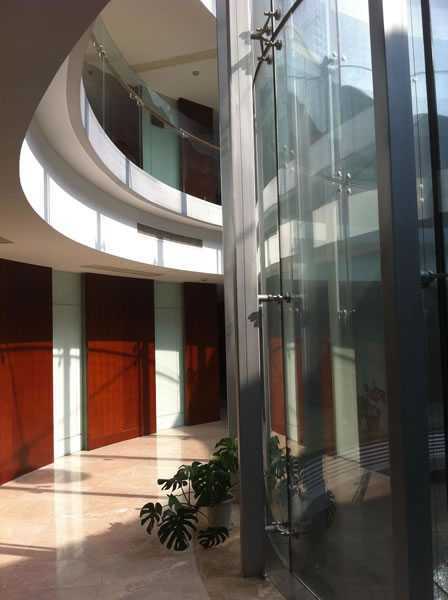 The building comes with 6 floors in total, including the underground floor which is then constructed into a multifunctional meeting room. The first floor of No. 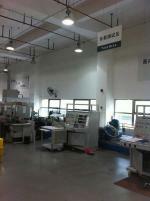 1 Workshop has three SMT production lines, and the second floor is the place for frequency inverter assembly. 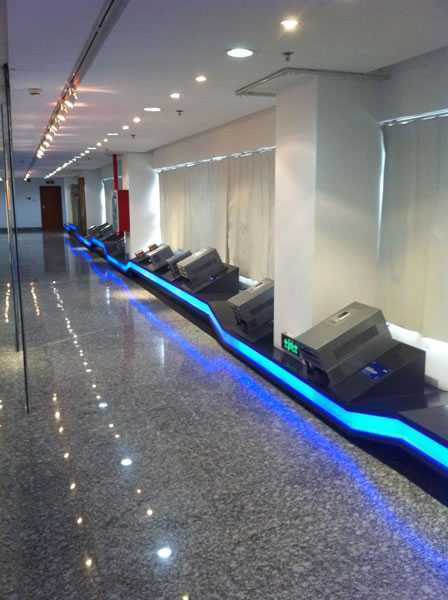 While walking along the corridor, visitor can have a look at our advanced production equipment acquired from America, Germany, Singapore, Japan, and Taiwan, China. In the products exhibition area, visitors can see our products such as elevator control cabinet, general use AC drive, elevator inverters (including elevator door inverter, elevator integrated drive and controller), and AC servo drive, etc. 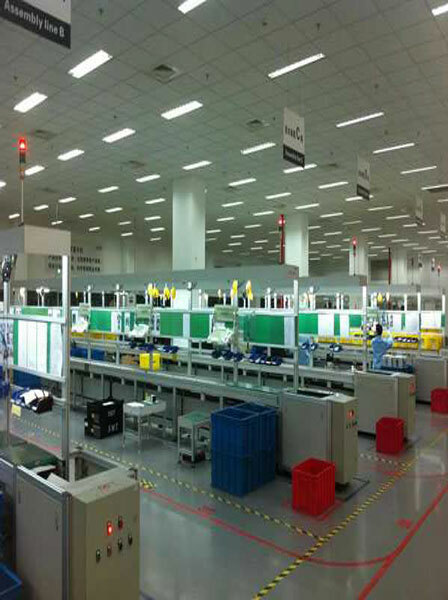 Our frequency inverter assembly lines are able to select and deliver materials automatically. Each line is able to assemble 0.4KW-55KW elevator inverter, servo drive, and vector inverter, etc. and can be used for producing different models and types of frequency inverters by adding or removing some of the stations. Now, each assembly line allows us to produce 80 units of AC drive every day. Meanwhile, we equip each of our assembly line with high performance testing equipment and testing software to ensure the reliable performance of our elevator inverters. 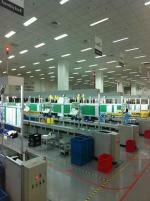 The fully automatic stereoscopic warehouse is designed and constructed by OKAMURA Corporation, a Japanese corporation. It is computer controlled, and operators can complete goods picking up and storage through the computer control system, which largely improves working efficiency and reduces labor intensity. 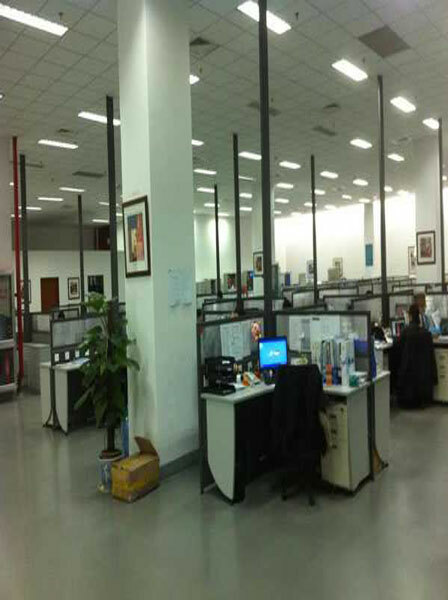 The stereoscopic warehouse comes with a height of 16.3m. 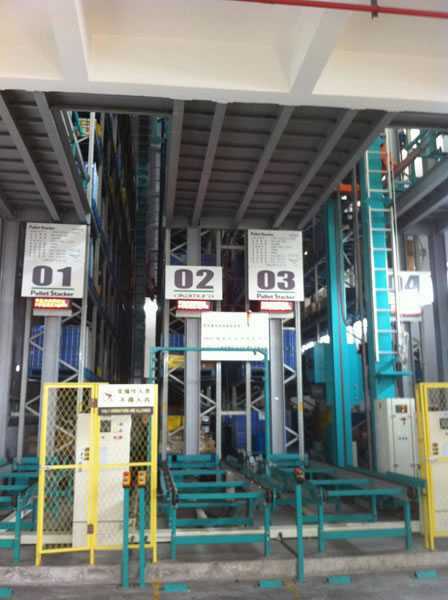 It is equipped with 2 stackers to accurately pick up or place the goods and deliver the goods to the conveyer belt smoothly. The stackers offer a maximum traveling speed of 160m/min and a lifting speed of 45m/min. They work with very high accuracy. The warehouse offers 2,520 stack positions, each of which has a maximum loading capacity of 450kg. 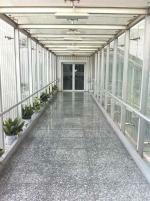 It is designed to endure magnitude 7 earthquakes to ensure safety. On the left side of the goods-unloading area, there is a basketball court for employees to play basketballs. The goods-unloading area has two upright columns to support the 1,500 square meter canopy. The large canopy allows us to unload goods in all weather conditions. There is an 58m length overhead corridor connecting the No.1 and No. 2 workshops. It allows a 4ton forklift truck to transport goods on it safely. A staff canteen is on the right side of the goods-unloading area. 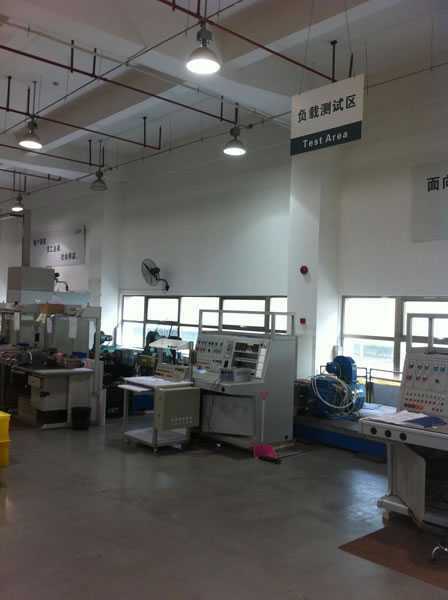 The left side of the testing area includes areas for elevator door inverter test, thermal impact test, package drop test, servo test, high voltage inverter test, harbor crane inverter test, and more. The right side is the area for load test for our frequency inverters before leaving factory. 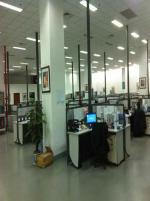 The center includes low voltage product R&D center, high voltage product R&D center, and servo system R&D center. The center is equipped with experiment tables for research staff's convenience. 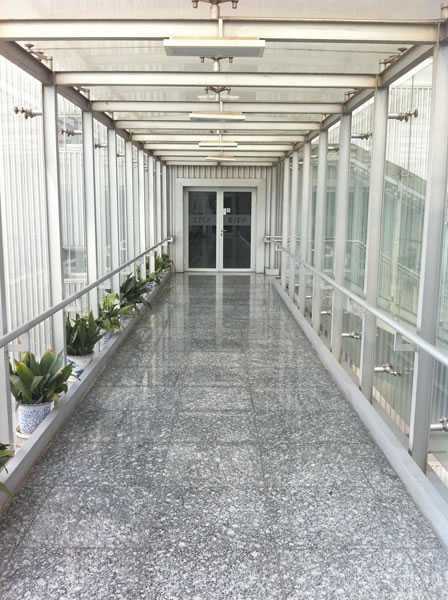 The conference hall is the first floor and underground floor of the Scientific Research Building. 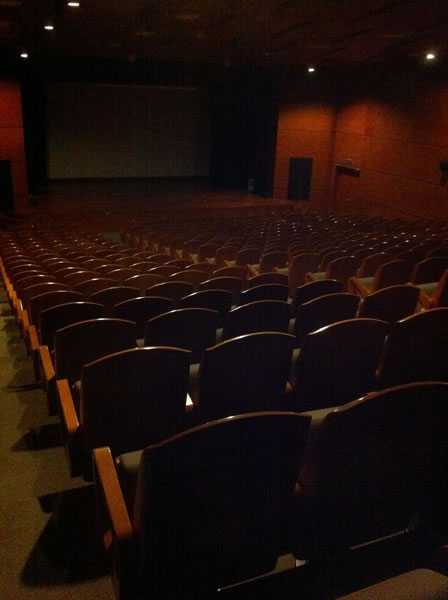 It offers 351 seats, and is fully equipped with conference facilities. It is constructed to hold annual meetings and new product release conferences. 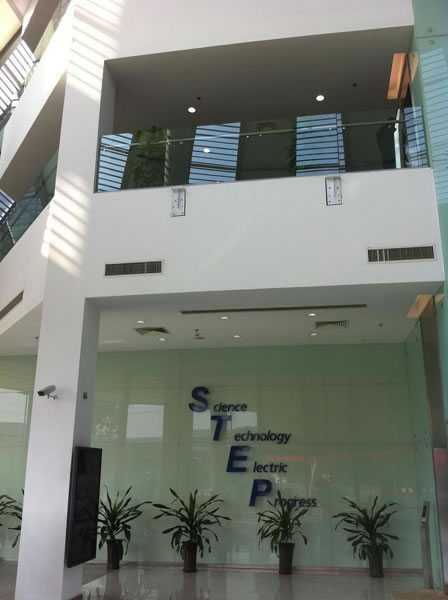 The building is constructed to offer accommodation to experts who come to our corporation and give us technical supports and enterprise administration guidance. The building includes 5 sets of fully-furnished guest rooms, one restaurant, a bar, and two meeting rooms.